In Beavertail State Park at the end of Beavertail Road, at the southern tip of Conanicut Island, Narragansett Bay. Sadly, the slave commerce as part of the African triangle was an important part of Rhode Island’s economy for around 100 years. By the early 18th century, it was estimated that one in four men living in Rhode Island made their living from the sea. Beavertail is the third oldest lighthouse in America. It was used in many situations to conduct experiments with new fog signals and lighting equipment. In 1817, Beavertail was the first lighthouse to be lit by gas; however, opposition from the whale industry (whale oil) caused the government to decide not to use the more efficient energy source. During the unsuspected tidal wave caused by the unknown hurricane of 1938, New England’s worst hurricane, a school bus carrying Keeper Carl Chellis' son and daughter were heading towards the lighthouse. The bus became swamped by the surge. The bus driver, fearing he and the children would drown if they stayed on the bus, tried to bring the kids to higher ground. He was too late and another storm surge hit and swept all the children away, drowning them all, except only the Keeper's son and the distraught bus driver himself. Keeper Chellis had not only watched the lighthouse become practically destroyed from this destructive storm, but also had to receive the horrible news that his daughter had drowned by the tidal wave sweeping over her school bus. Jamestown is a quaint island community connected by bridges from the Newport area to Conanicut Island. It is an area filled with history, 18th and 19th century architecture, and hosts many community events. There are a host of parks with trails and small wildlife refuges for birding for visitors to relax and enjoy. 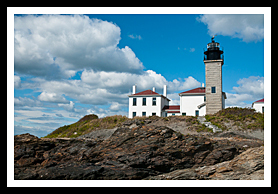 One of the main tourist attractions is Beavertail Lighthouse, the nation’s third oldest lighthouse, located inside Beavertail State Park for picnicking and hiking. Be sure to also visit the Beavertail Lighthouse Museum, which features a collection of information, documents, and artifacts about the history of the lighthouse and the area. Explore the unique rock formations that surround this park. Tours to the lighthouse are sometimes also provided. Other museums in the area include Watson Farm, a living history museum that offers a glimpse into the way most people lived in Jamestown for three hundred years, the Jamestown Fire Department Memorial Museum collection of antique fire fighting equipment, and the Jamestown Museum collection of ferry system memorabilia, historic photos, maps, and other items that help tell the story of Jamestown's history. Ferry service is available from and to Jamestown, and there are plenty of opportunities for fishing off the dock in the harbor. There are more than 40 museums located within 40 minutes of Jamestown. Nearby, Newport is connected by bridges for tourists to visit and explore while they’re in the area. 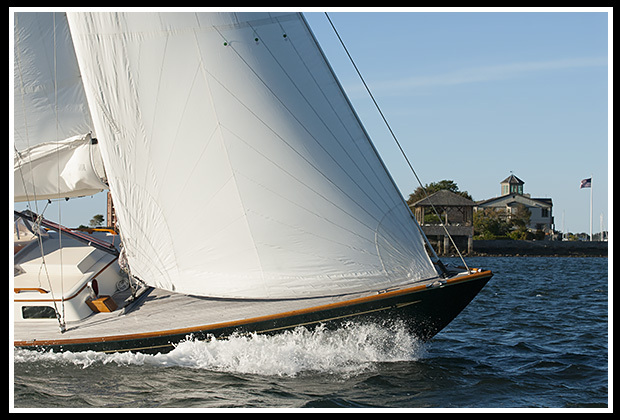 This region provides some of the best sailing around the Narragansett Bay, as well as providing tourists with plenty of boat tours, excursions, and events. Visit some of the famous elaborate mansions of the most powerful people that shaped America’s 19th and 20th centuries, and its numerous parks and museums. Fort Wetherill State Park is situated on top of 100 foot high granite cliffs for a spectacular view of Narragansett Bay. Charter fishing is available at the Dutch harbor Boat Yard. Take Route 138 eastbound from North Kingston over the Jamestown Bridge, or from Newport, cross the Newport Bridge. Follow signs on Route 138 to Jamestown center. Look for Fort Gerry/Beavertail sign and follow along a few miles of stonewalls. Keep heading south past Mackerel Cove Town Beach to Beavertail State Park at the tip of Conanicut Island. Boat cruises mentioned below offer many types of cruises. While some may offer specific lighthouse cruises, some will pass by specific lighthouses as part of charters, narrated wildlife and historic tours, ferrying passengers, whale watching, fishing tours and other types of excursions. Contact info is provided to help you plan your special trips to New England’s shorelines. Enjoy! Offers weekly lighthouse tours in season. 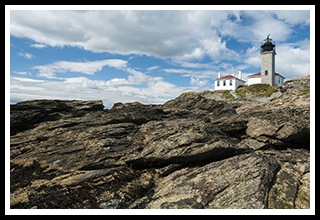 Special organization for lighthouse and coastal preservation provides Ultimate Lighthouse Tour, Northern Bay Lighthouse Tour, Southern Bay Lighthouse Tour, and Providence Sunset Lighthouse Cruise on specific days during the summer. Tours may include stopovers to tour inside a particular lighthouse. 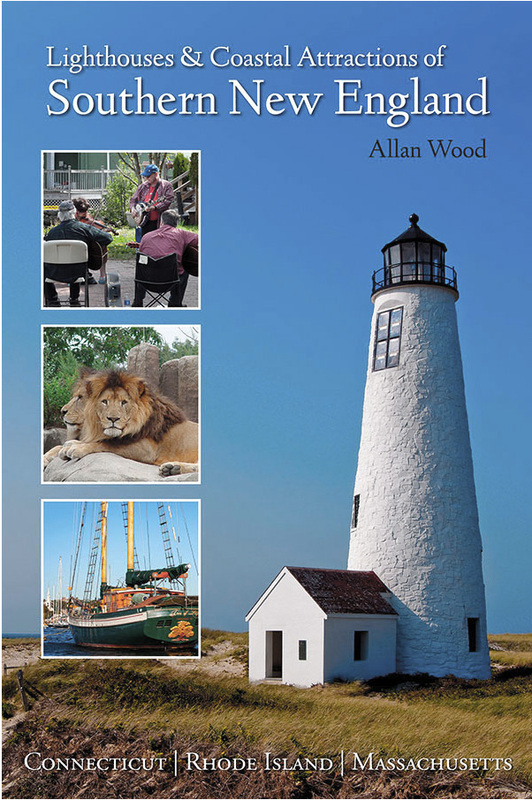 My 300-page book, Lighthouses and Coastal Attractions of Southern New England: Connecticut, Rhode Island, and Massachusetts, provides special human interest stories from each of the 92 lighthouses, along with plenty of indoor and outdoor tours and coastal attractions you can explore. You'll also find more heroic and tragic stories during the Hurricane of 1938 that devasted the coastal areas around Naragansett Bay.